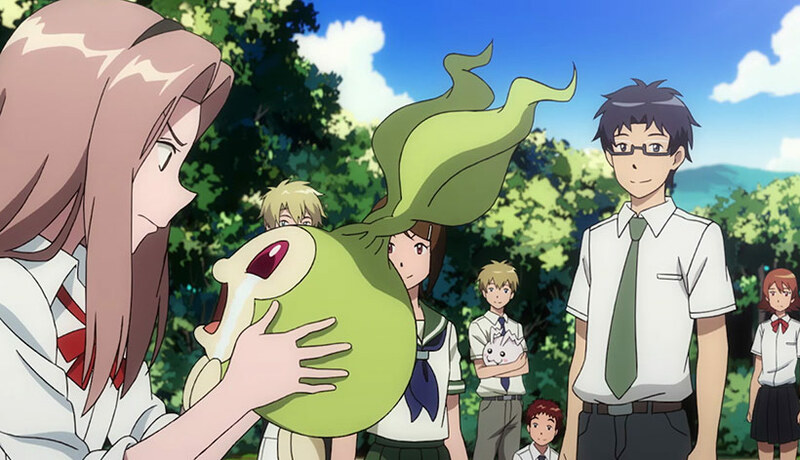 Digimon Adventure Tri continues to spin its longform theatrical narrative with Part 4: Loss. 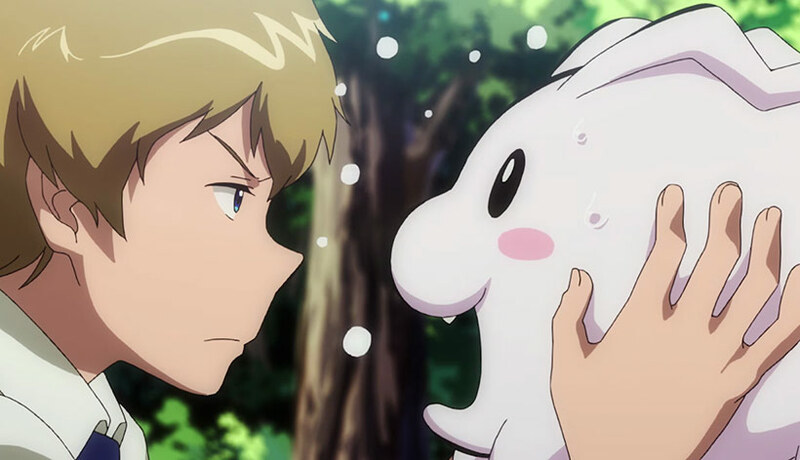 Akin with the former entries, Digimon Adventure Tri Part 4 kicks off directly from the end of Part 3 with the team stranded in the rebooted Digital World. 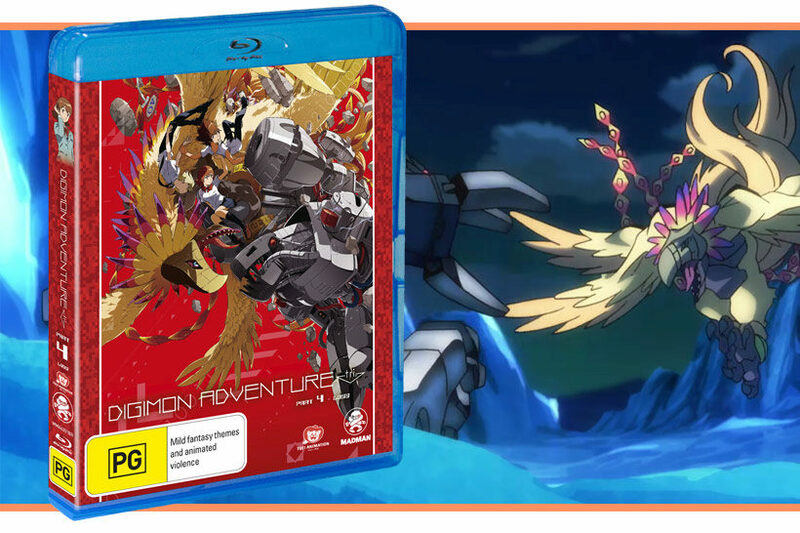 After spending time working through some requisite teen angst and reconnecting with their digimon akin to the opening few episodes of the original Digimon Adventure TV series, the team are once again set upon by Gennai and Machinedramon which resuls in ‘splosions and lots of crazy evolutions for the key players for this film. Similar to its predecessors, Digimon Adventure Tri Part 4 feels very much like an OVA rather than a truly developed film. The pace remains slow with a drip feed of narrative devices thrown in to help expand the current universe with some interesting exploration of Himekawa and Nishijima’s past, including tapping into Himekawa’s motivations for the path she’s taking. The action sequences benefit greatly from the larger production budget, but at the same point don’t feel quite as polished as a full-fledged theatrical release. Mind, given that Mamoru Hosada was responsible for the first two Digimon Adventure films that are my reference points, it’s not surprising that this has taken a slightly different direction! This places the film in an interesting position, and one not unlike its predecessors. 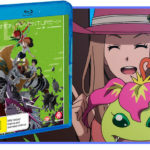 The story contributes to the broader arc and it’s great to see them take a spin on the established formula by effectively revisiting the origins of Digimon Adventure’s original TV series. We can see that the characters are growing in their relationships and the mystery around the driving forces continue to be intriguing if you’ve already been onboard with everything. As a stand-alone film though, it’s a bit tricky to recommend because this feels, more than Parts 2 or 3, like the lull of an intermission that’s building towards the concluding films. None of this is bad by any stretch, but it’s important to be mindful that Digimon Adventure Tri Part 4 is more concerned with working on the foundations than radically pushing the story into a dramatic arc. 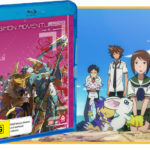 In terms of Digimon Adventure Tri Part 4’s local release, we’ve got a similar result as the others in the series – great HD transfer, full surround tracks on the English and Japanese language tracks, subtitles are accurate for the Japanese language track and the usual players have reprised their roles for the dub (well, at least from the spot-checking anyways). Extras on this are slim – Taiichi’s English VA, Joshua Seth gives a recap of what’s happened to this point which is handy if it’s been a while since you watched the previous entries, but that’s about it. Overall, Digimon Adventure Tri Part 4 is a solid release. Production values are strong and it makes for a fun ride if you don’t mind the slow pace. I’m hoping as we get closer to the end of this series that we’ll get some interesting twists or more dramatic mini-arcs in the story, but based on its merits this is good viewing, especially if you’re a long-time fan.